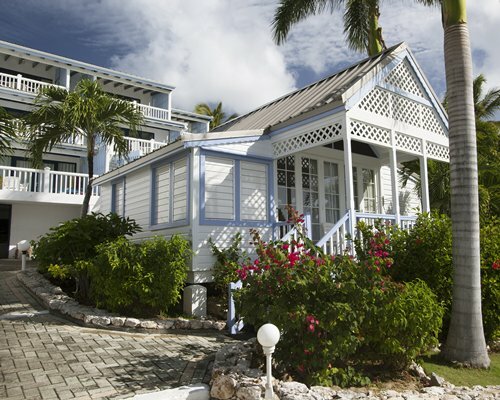 With stunning views of the turquoise-blue Caribbean waters, and private access to Cupecoy Beach, the Ocean Club Villas are a charming and relaxing oasis during your stay on the island. Enjoy a day lounging by the pool, followed by an evening filled with food and cocktails at the on-site tropical restaurant. 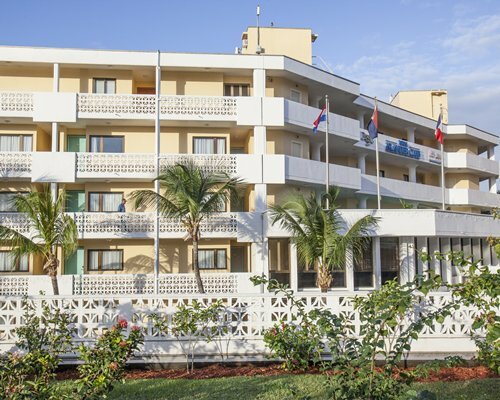 This resort is perfectly situated near the French border, providing easy access to attractions on both sides of the island. 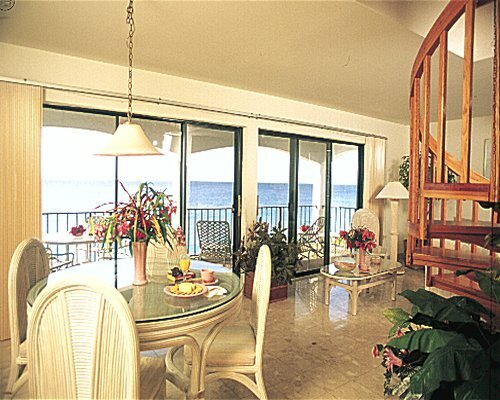 The Ocean Club Villas offer spacious air-conditioned rooms with tropical décor that will enhance your island getaway. Every unit features either a full or partial kitchen; some units also feature a washer/dryer and dishwasher. 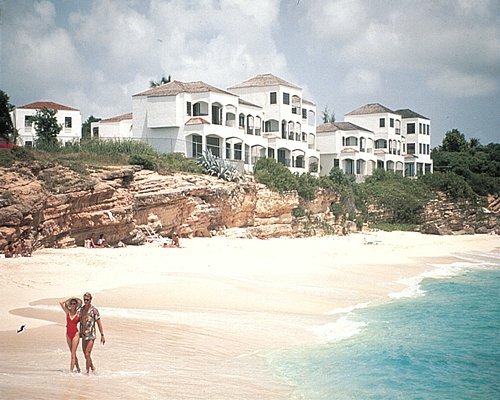 The villas range in size, from studios to three bedroom units, and can sleep anywhere from two to six guests. 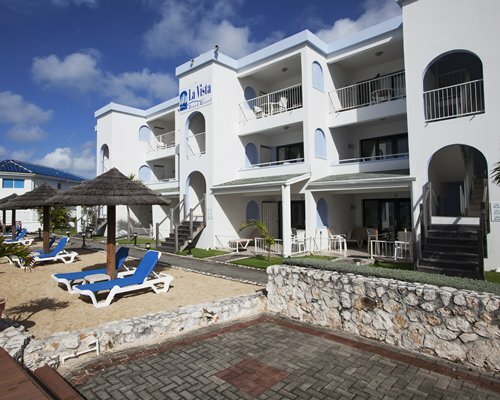 Queen Juliana Airport is 2 miles from the resort. Exit left from airport and follow road through Mullet Bay Resort complex and follow road left to the resort, also on your left. *** Guests really should take a taxi from the airport as the resort can arrange car rental to be delivered to you at the resort. If arriving after 5pm, please collect your room key at front entrance security house, and register at the reception area the following morning. Mandatory Local tax is 50.00 U.S. dollars. Cash or Credit is accepted. 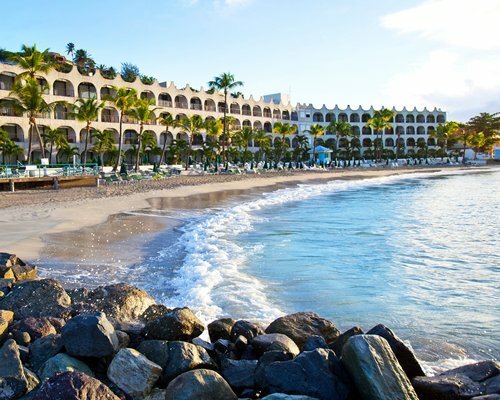 There is a one time Government timeshare tax amount which is $50. Mandatory Utility surcharge is 75.00 to 125.00 U.S. dollars. Cash or Credit is accepted. There's a one time energy fee, $75 for a studio, $90 for a one bedroom and $125 for a 2 bedroom.